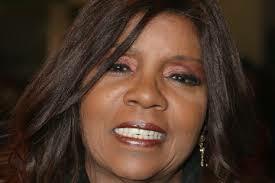 Gloria Gaynor – Happy 65th birthday! Just a small note here to wish the most gracious original Queen of Disco, Miss Gloria Gaynor, a very happy 65th birthday today! 40 years after her first disco single “Honey Bee”, and 35 years after she bestowed the world with one of the biggest hit records of all time; the never-to-be-forgotten-classic “I will survive” – her music is still fresh and vibrant, and anyone over the age of 45 will no doubt have a lot of great memories related to one or more of her songs. During the years 1975-85 she released 11 albums, all of which has stood the test of time remarkably well. After 1986, Miss Gaynor has recorded for small and independent labels, and most of that stuff does not compare to her glory years. So, in my opinion – the albums she made in the 1970s and 80s are the ones to seek out. On each and every one of them, she spreads her glorious Gaynor voice on an amazing bunch of great songs, making full use of her soulful and elastic vocals. 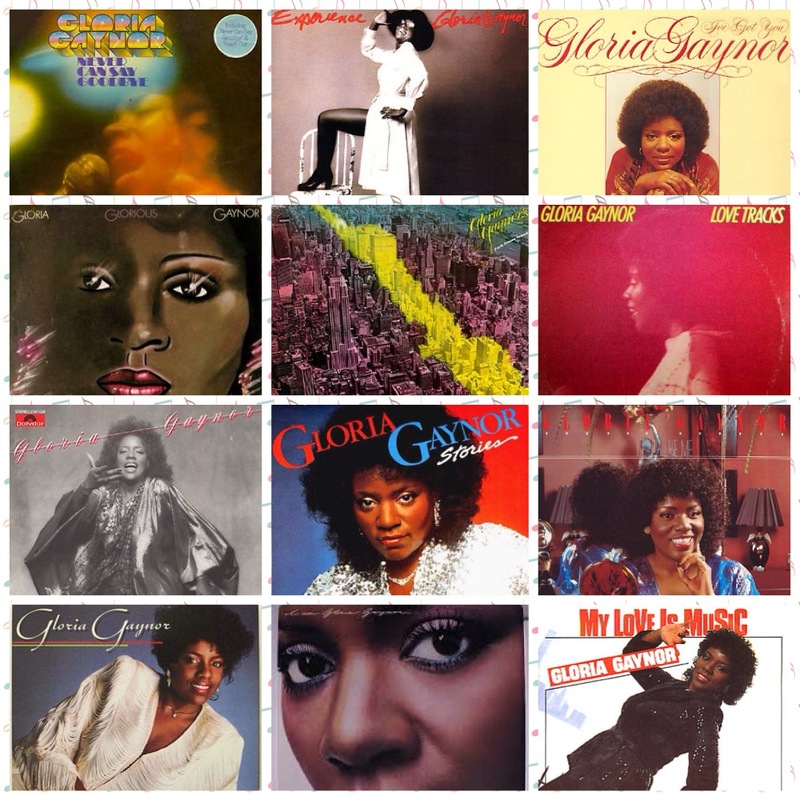 The photo on top of the page shows the covers of her albums: “Never Can Say Goodbye” (1974), “Experience” (1975), “I’ve Got You” (1976), “Glorious” (1977), “Park Avenue Sound” (1978), “Love Tracks” (1978), “I Have A Right” (1979), “Stories” (1981), “I Kinda Like Me” (1982), “Gloria Gaynor” (1984) and “I Am Gloria Gaynor” (1985). The photo in the lower right corner shows her 1986 single “My Love Is Music” – never included on any of her original albums…. Her first two albums, and the ones released in 1978 have all been reissued on CD recently, with bonus tracks! Some of her other albums never got onto CDs at all, but we can always hope…. 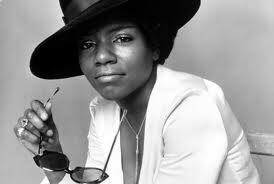 To me, Gloria Gaynor is a singer I’ve been following since her 1975 break-through hit “Never Can Say Goodbye”. I feel lucky to have each and every one of her records, and as they represent absolutely everything that was (and is!) good about disco, these records never date. They will seem just as fresh and vibrant years from now… As they are now – more than 40 years after the Great Gloria bedazzled the rhythm tracks with her outstanding voice! She still is the most regal Queen of Disco, and turns 65 today. “Dip your flags before her, fore she is unique”!